Cincinnati is an exciting, and growing city that boasts many infrastructure improvements. These include a new major league sports team in FCC Cincinnati, and an ever-expanding downtown district with new restaurants popping up regularly, and several new entertainment options such as Axe throwing or Nerf Battles at places like Dart Arena. 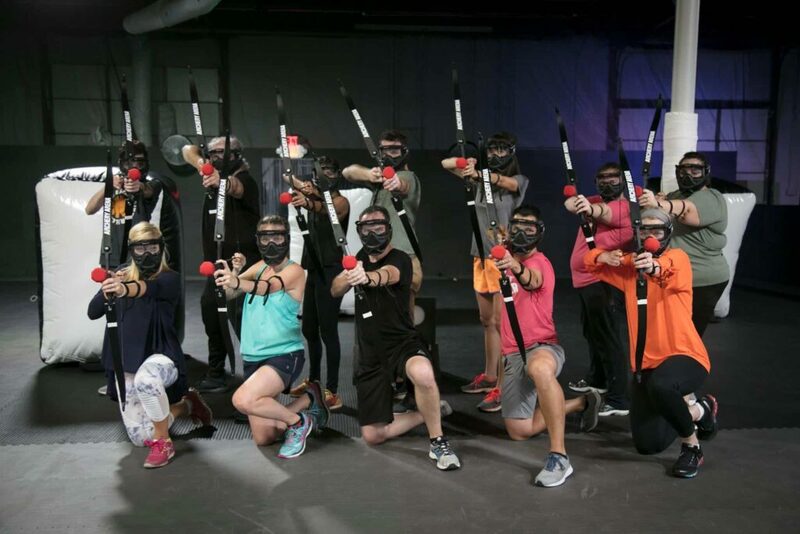 Archery Arena, Cincinnati’s home to combat archery is another feather in the city’s cap, or better yet another jewel in the crown of the queen city. Archery Arena is not only the first and only combat archery arena in Cincinnati, it’s the first one in the midwest. This fact makes it the most unique bachelor and bachelorette party destination in Cincinnati. Bring your groomsmen and bridesmaids to battle it out for 60 minutes of unforgettable combat archery action. The game is simple, yet rich with strategy. It’s great for beginners and experienced players. Out of all the bachelor party and bachelorette party ideas in Cincinnati, it’s the one that you and your friends will be talking about for months to come. The game types vary and progress as the session goes on and at the end of the session a champion is named! Learn more about how to book a session at the arena here.